The holidays can be a time of anxiety when it comes to working out visitation with your ex-spouse. Feelings can become magnified by old hurts and the fear of potential drama, and these factors can make co-parenting difficult. We know that you want to get through the next few weeks peacefully and that your children come through it with only good, happy memories. We’ll go over some tips we hope will help you overcome any bumps in the visitation road this holiday season. If you need any family law advice, don’t hesitate to call us! If there is any ambiguity, it’s a good idea to double check the court order to make sure that whatever the questions is – isn’t addressed in the order. 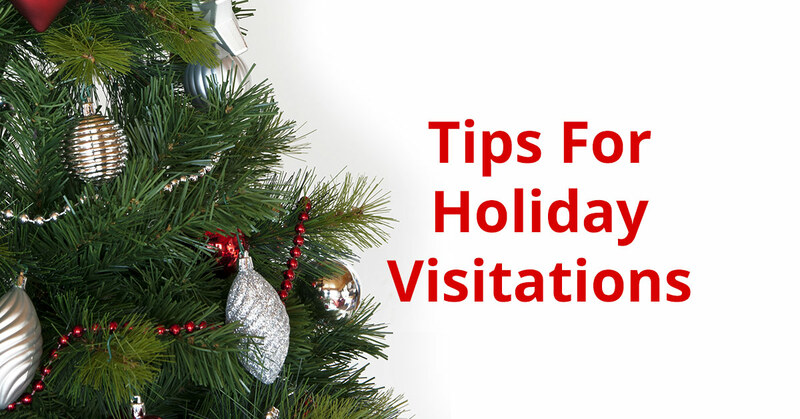 Ideally, your holiday visitation schedule is planned out far in advance. If it’s not, you should work on getting the next few years settled ahead of time to avoid last-minute conflicts. It can’t hurt to run over the schedule one more time with all the parties. Strike a conciliatory tone and double check pick up and drop off dates. Depending on how often your child sees their other parent, make sure your ex-spouse is up to date on your child(ren)’s current medication and any other pertinent information. Preparing an email for them to review is not a bad idea. Keep the kids in the loop too! Kids like to know ahead of time what is going to be happening, where they will be and when. Having a relationship with both parents is important to any person. If you can facilitate an improvement in their relationship, your child will be the one who gains. If you have nothing good to say about your ex-spouse, don’t let your kids know that. Try to maintain a neutral stand. Kids are smart and will figure things out on their own. You don’t need to say anything, unless it is a matter of safety, in which case brief your child on what to do in case of an emergency. There are some things that you just have to let go and leave for a later date. Try to be flexible and compassionate. Unless your child’s immediate safety is at risk, it’s best to deal with issues at a later date, and when the kids are back with you. Every parent has the right to exercise their judgment and parenting skills, and sometimes you just have to let things go. If your ex-spouse is notorious for canceling, cutting visits short, or just not showing up, be sure to have a backup plan. Be sure to document any deviations from the agreed upon visitation schedule. Don’t forget that this is also your holiday season! Take some time for yourself: schedule a spa day, a therapy session, or a day of fun in the snow or the sun. If you need any legal assistance enforcing or changing your current visitation order, call Women & Children’s Law Center.